Employee Spotlight: Aaron Caldwell | Lubrizol Advanced Materials, Inc. 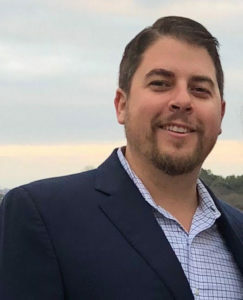 Although Aaron Caldwell’s tenure as a market manager at Lubrizol only started in July 2018, he has years of practice in the Texas builder market he serves. With nearly a decade of experience working for Kohler, Caldwell has created trusted partnerships with single and multi-family builders across the state through years of collaboration in plumbing fixture selection. As a self-proclaimed “nerd” in land development and real estate, Caldwell’s passion for understanding market trends and scoping out upcoming development projects helps Lubrizol better serve the rapidly-growing Texas market. Austin, San Antonio and Dallas rank in the top 5 U.S. markets for new home builders, offering Caldwell endless opportunities to tap into his passion for building and development while helping his contacts make the right plumbing investment. When he’s not on-site, he stays on top of trends by reading trade journals and conducting market analysis. Caldwell not only strives to understand the market he supports, but also the unique needs of each builder—something he accomplishes by getting to know them on a personal level as well. “My role isn’t about pushing products on builders – it’s about building relationships so that I fully understand what challenges they’re facing and how I can help,” he said. Many of the builders Caldwell worked with in previous roles have continued their partnership into his new role with Lubrizol because of this trusted relationship. One of the ways Caldwell helps his builder customers is by educating them on plumbing alternatives that can make their homes stand out to buyers. “In a PEX-popular market, FlowGuard Gold® CPVC plumbing systems offer builders one more thing they can put on their sell sheet to differentiate themselves,” he said. During his time off, Caldwell spends most weekends on the lake in Austin. He and his wife enjoy boating while his two dogs, a black lab and Goldendoodle, like jumping in for a swim. Even when he’s not on the lake, Caldwell is out enjoying nature in one form or another. He hikes frequently, traversing across Colorado and Washington state to escape the Texas heat.